This graph shows an index of human-induced global warming relative to the second half of the 19th century (1850-1900). 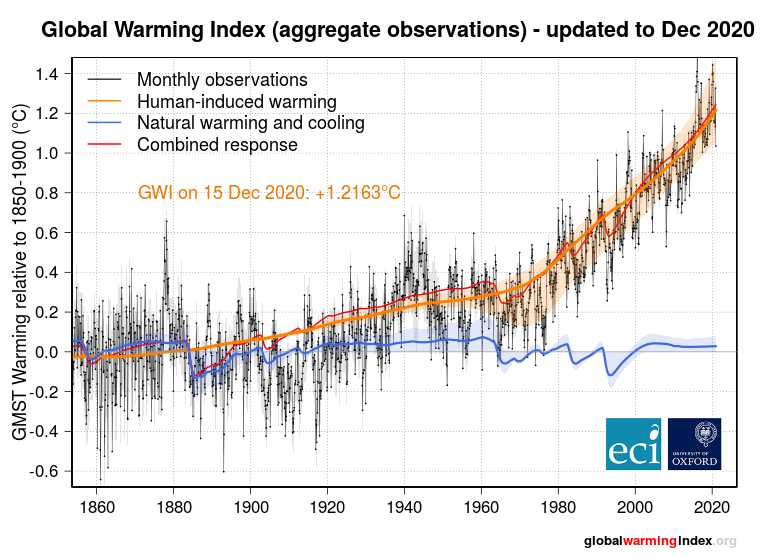 globalwarmingindex.org is provided by the Oxford University Environmental Change Institute. See here for further details about the graphic above.